I have wanted grey hair for so long and no-one seems to understand me. "Wait 40 years and you can get it for free" they say. "Have children and the grey hair will come naturally" someone else told me. Do I really want to wait years and years for it? Or even have children for the sole purpose of a hair colour? Of course not. And we aren't really talking 'granny grey' here. We are talking a deep, smokey silvery grey which isn't a sign of old age but of 'I am young and am allowed to make possibly bad hair colour decisions because that is what young people do'. 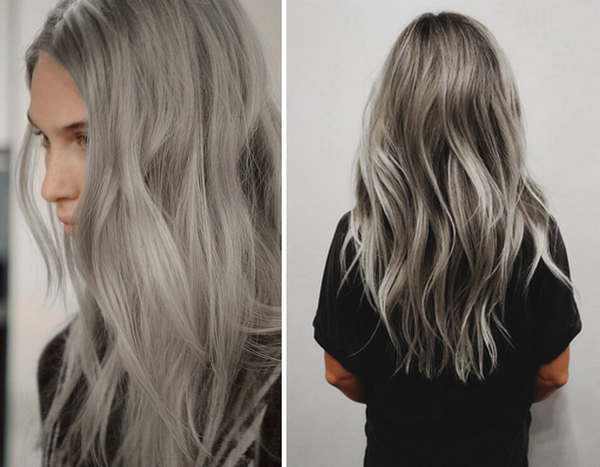 I have scoured the internet, mainly tumblr and weheartit to find some grey hair inspiration that I can possibly take into the hairdressers with me. I know it isn't for everyone - it may not even be for me but how will I ever know if I never try? 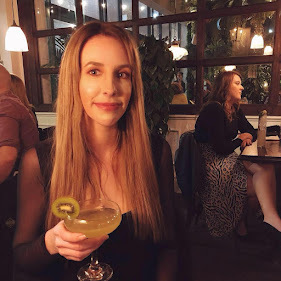 I currently have a mousey blonde hair colour which is au natural but I have been thinking of dying it for a while. It's been a good few years since I dyed it back to it's natural colour after dying it blonde for many years. It is now back in great condition so why not spoil it all over again?! 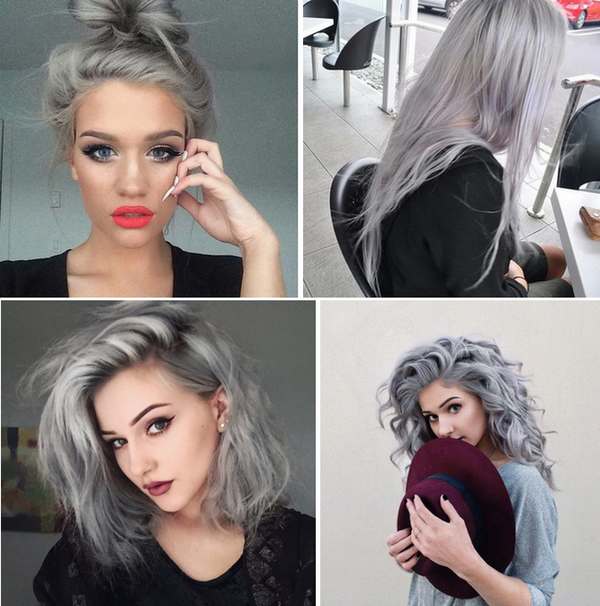 I think the most accurate representation of my ideal grey is the two grey hair colours above. They are an ashy silvery grey which is just what I am hoping for. It isn't too in your face or too light, it has depth to it. I would really like some ashy tones in there so it is not like a metallic silver. After a little browse on the internet, I came across this article on the Daily Mail website. In the article 5 women dye their hair grey to see if they can pull off 'granny locks' and they all looked wonderful. The article also gave a really good tip as to which shade of grey would suit you best. If you have blue or purple coloured veins on the underside of your wrists then a pure white grey tone would suit you. If you have green or yellow coloured veins then you would suit a steel grey tone. 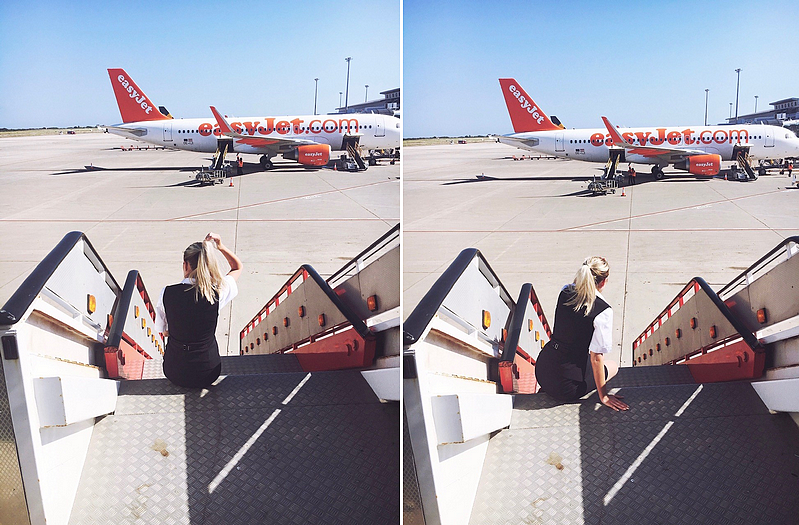 After writing this post I am even more determined to dye my hair grey. It isn't for everyone but it could be for me - there is only one way to find out.